- The set will include cards for Dragon World, Katana World, Ancient World, and Darkness Dragon World. - Introducing the fourth attribute of Ancient World: Dragon Chief Emperor. 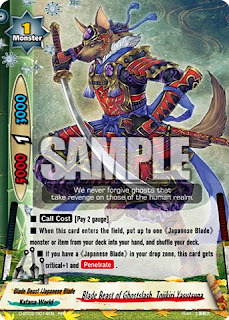 - Introducing the third attribute of Katana World: Blade Beast. - Further boosts to the archetype: Purgatory Knights. 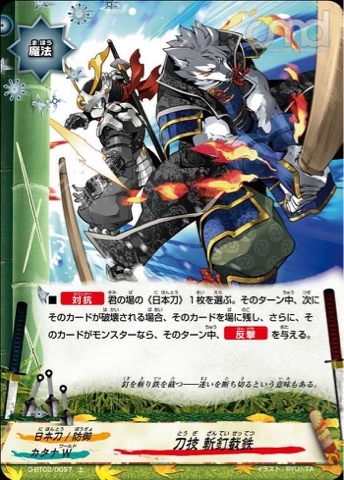 - Further boosts to the attribute: Japanese Blade. - Parallel foil versions of Common (C), Uncommon (U), and Rare (R) cards will be randomly inserted in some packs. 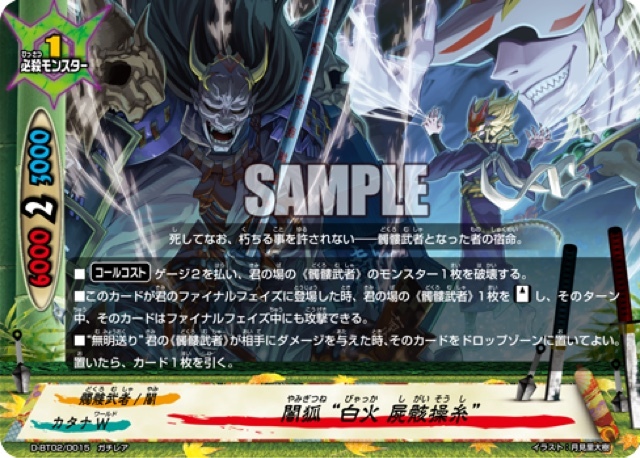 - Each display will include one PR card, from four different types, randomly inserted. - Introducing a new rarity, ????. 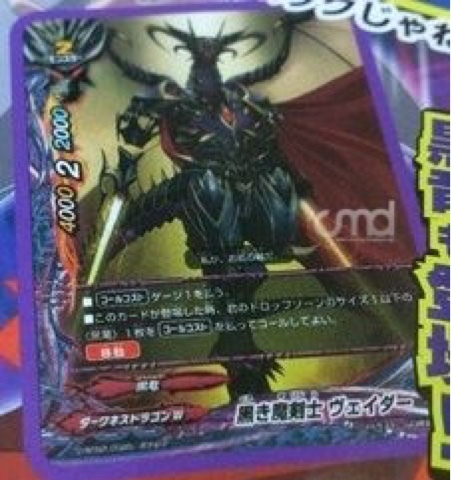 It will be more rarer than Secret and Buddy Rare. 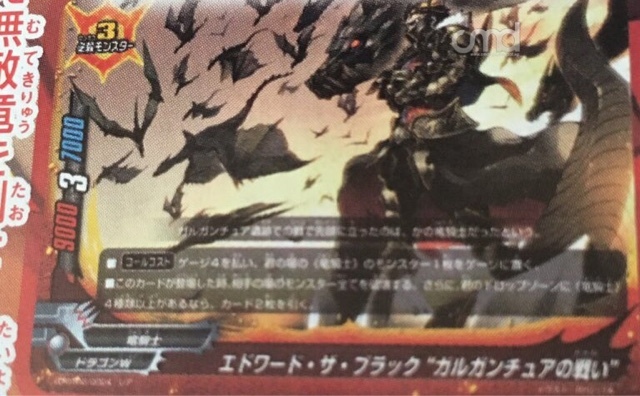 - 14 Reprint Cards: Nanomachine Ninja, Tsukikage, Duel Sieger "Tempest Enforcer", Fortune Dragon, Forbolka, Divine Dragon Creation Graveyard of Demonic Sword, Graybard, Purgatory Knights Leader, Demios Sword Dragon, Death Wizard Dragon, Clear Serenity, Five Heavenly Swords, Onimaru, Duel Sieger "Spartand", Martial Arts Dragon Emperor, Duel Sieger, Wrath Trigger, Art of Body Replacement and Ninja Arts, Snake Gaze. 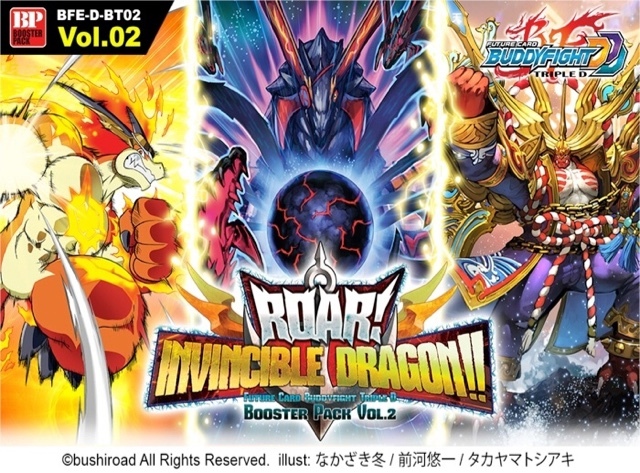 - Japanese Box Topper Promo (Total: 6 Types). 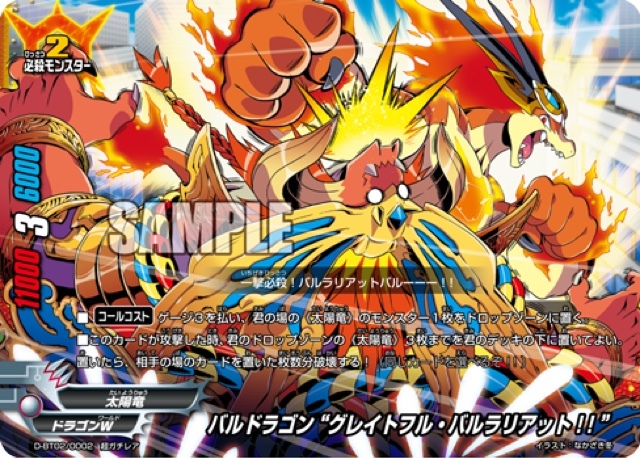 - In addition, as a pre-order incentive, every two boxes ordered before 20th May 2016 will include a set of four Shield / Barrier PR cards. 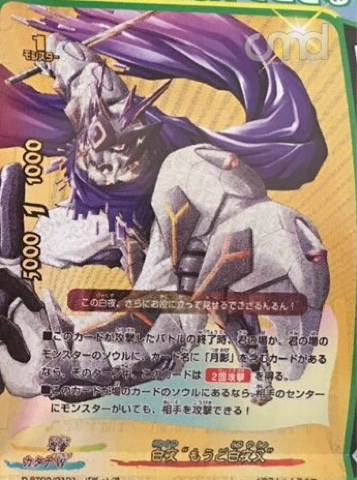 - You may only cast this card if you would be dealt damage, and if you do not have a monster in the center..
- [Counter] That damage is reduced to 0, and you gain 1 life. - You may only cast this card if you add being attacked. 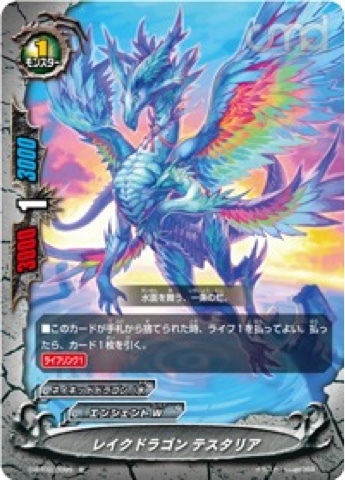 - If you have a 《Sun Dragon》 impact monster on your field, reduce the size of this card by 1. 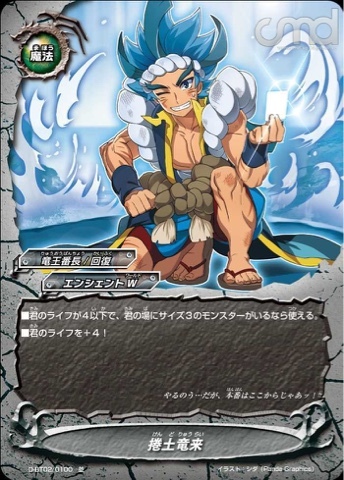 - When this card attacks, put the top card of your deck into your gauge. If your opponent has no monster in the center, put the top card of your deck into your gauge. - If you have two or more 《Japanese Blade》 in your drop zone, this card gets critical+1! 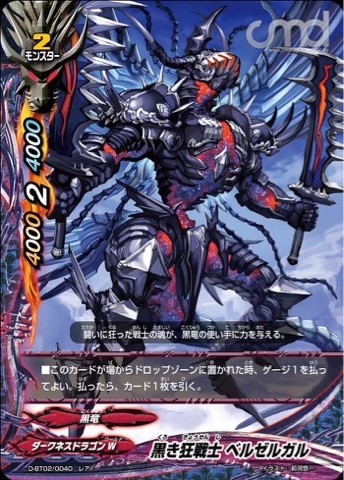 - At the end of the battle this card attacked, if there are five or more 《Japanese Blade》 in your drop zone, for this turn, this card gets [Double Attack]. - At the end of the battle that this card attacked, you may discard a 《Ninja Arts》 from your hand. 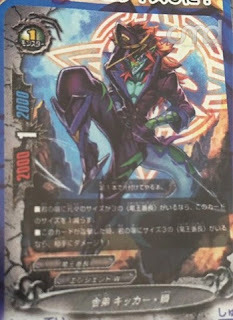 If you do, for this turn, this card gets [Double Attack]. - [Counter] [Activate] When your opponent casts a spell, you may discard a 《Ninja Arts》 from your hand and pay 2 gauge. 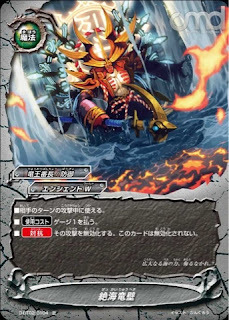 If you do, nullify the spell cast by your opponent and deal 2 damage to your opponent! 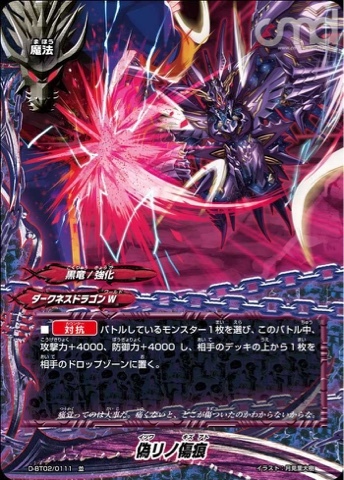 - When this card is attacked, for this turn, nullify the attacking card's [Penetrate]. 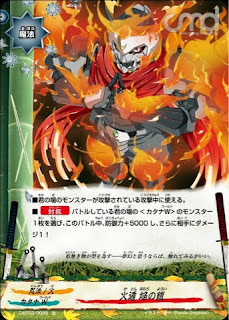 - When this card is destroyed, put the top card of your deck into your gauge. 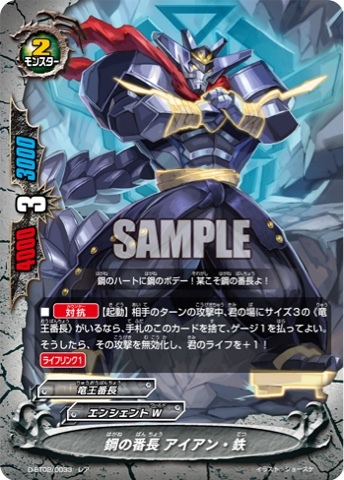 - [Counter] [Activate] During a battle of a size 3 《Dragon Chief Emperor》 on your field, you may discard this card from your hand and pay 1 life. If you do, draw a card and for that battle, that monster gets power+5000, defense+5000. 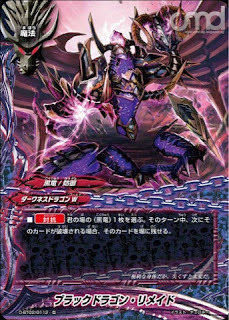 - When this card enters the field during the final phase, put up to ten cards from the top of your opponent's deck into his or her drop zone. 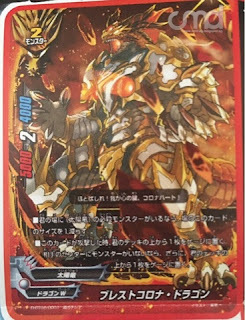 - When this card attacks, if there are twenty or more cards in your opponent's drop zone, deal 2 damage to your opponent, and you gain 2 life! - At the beginning of an attack phase, put a card from this card's soul into your gauge. 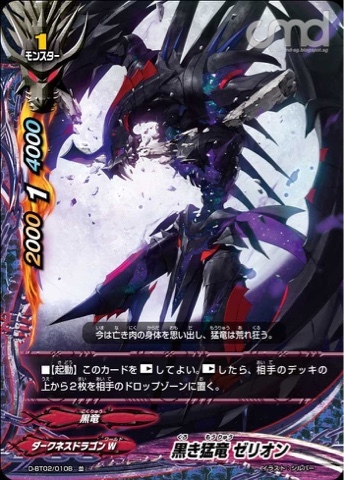 - At the end of turn, if there is no card in this card's soul, put this card into your drop zone, and put all cards from each fighter's gauge into the drop zone. - [Activate] You may put three 《Sun Dragon》 from your drop zone and put them on the bottom of your deck in any order. 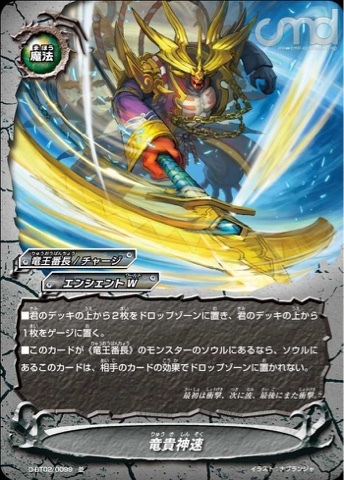 If you do, for this turn, this card gets [Penetrate]. 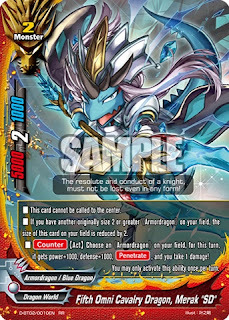 - If you have another originally size 2 or greater 《Armordragon》 on your field, reduce the size of this card on the field by 2. 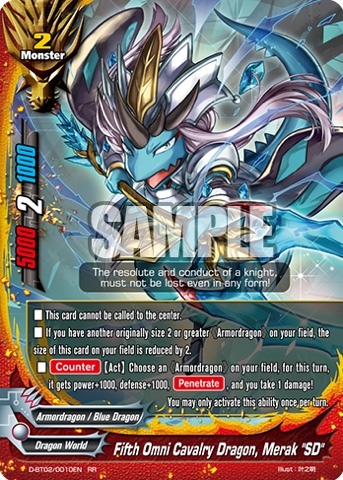 - [Counter] [Activate] Choose an 《Armordragon》 on your field, and for this turn, it gets power+1000, defense+1000, [Penetrate], and you take 1 damage! You may only use this ability once per turn. 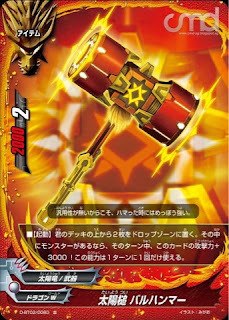 - This card cannot be destroyed by effects from your opponent's cards. - [Counter] [Activate] Pay 1 gauge and put this card into the drop zone. If you do, choose a monster on your field, and for this turn, the next time that monster would leave the field, it remains on the field. 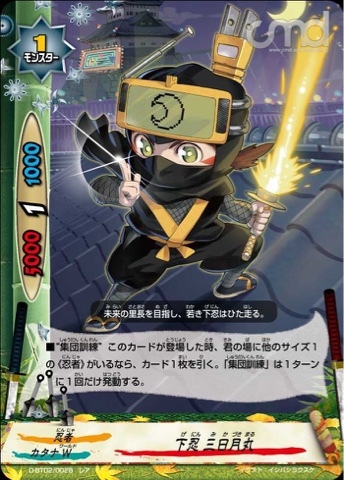 - [Counter] [Activate] Choose a 《Ninja》 on your field and pay 1 gauge. If you do, for this turn, the next time that card would be destroyed, that card remains on the field. 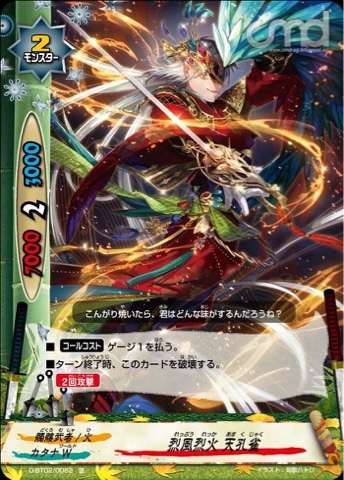 This ability may only be used once per turn. 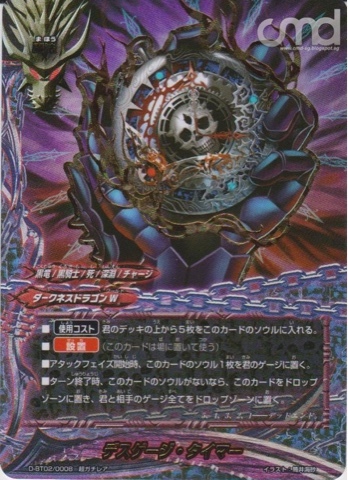 - "Nanomachine Body Replacement" If this card would be destroyed, you may discard a non-monster card from your hand. If you do, this card remains on the field! 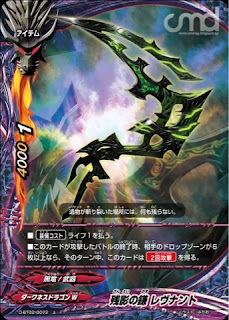 - When this card enters the field, search for your deck for up to one 《Japanese Blade》 monster or item, put it into your hand, and shuffle your deck. 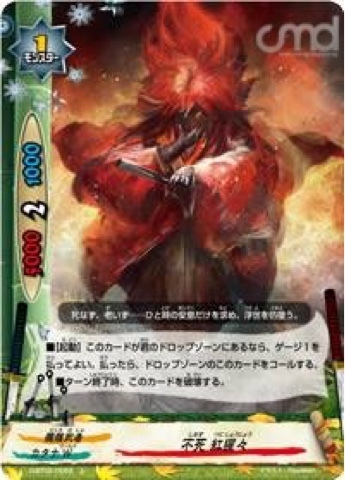 - If you have a 《Japanese Blade》 in your drop zone, this card gets critical+1 and [Penetrate]. 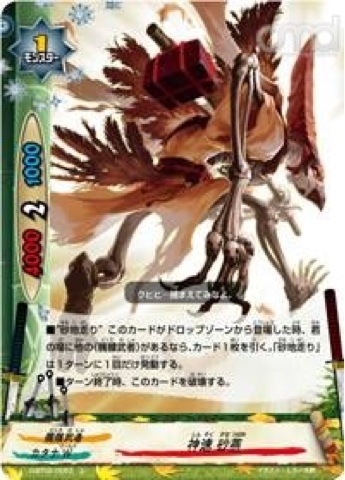 - When this card enters the field during your final phase, [Stand] a 《Skull Warrior》 on your field, and for this turn, that card may attack even during the final phase. - "To Darkness" When your 《Skull Warrior》 deals damage to your opponent, you may put that card into your drop zone. If you do, draw a card. 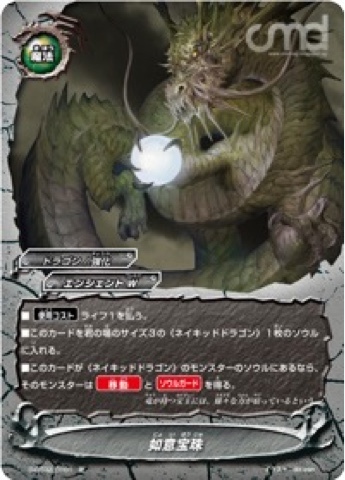 - [Counter] [Activate] You may discard a 《Wild Dragon》 from your hand. If you do, use one of the following abilities. • Pay 1 life. 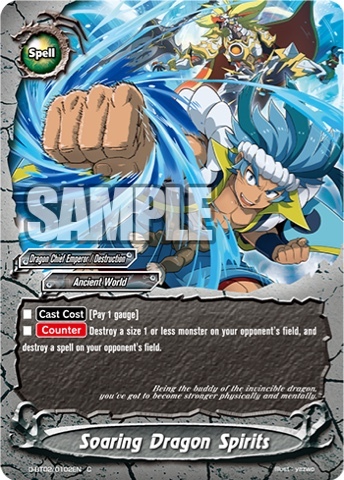 If you do, destroy a size 1 or less monster on your opponent's field. • Pay 1 gauge. If you do, destroy an item or spell on your opponent's field. - This card can attack even if there is a monster in your center. 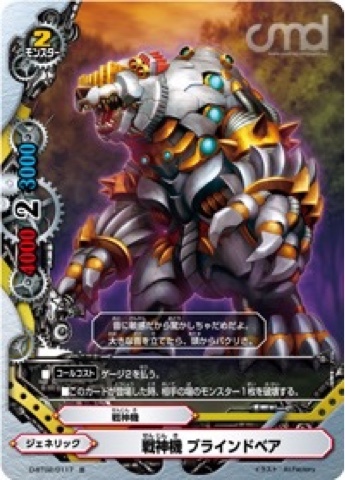 - [Counter] [Activate] Pay 1 gauge and 1 life. 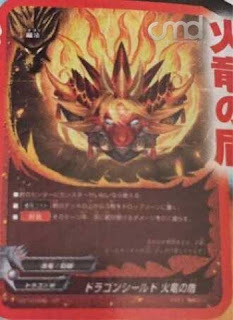 If you do, put this card into the soul of a 《Dragon Chief Emperor》 monster on your field. 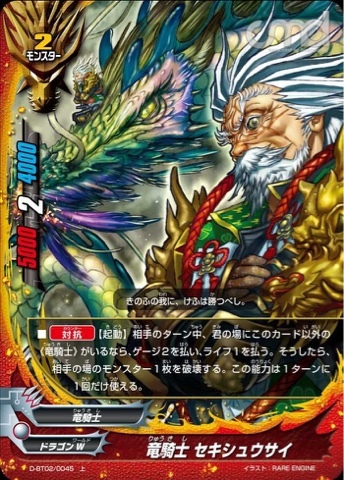 - If this card is in the soul of your 《Dragon Chief Emperor》 monster, it gets [Penetrate]. 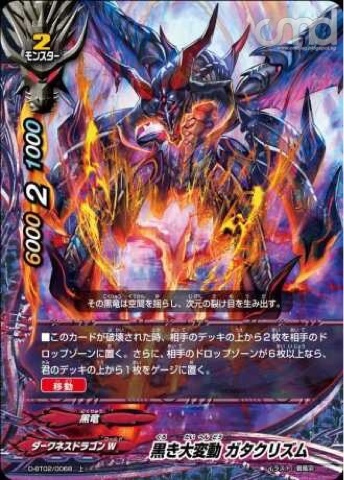 - If you have an originally size 2 monster with "Purgatory Knights" in its card name on your field, reduce the size of this card on the field by 2. - When this card is destroyed, put up to one size 2 or less monster with "Purgatory Knights" in its card name from your drop zone into your hand. 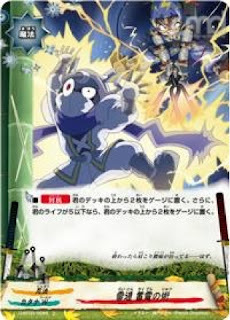 - When this card enters the field or is destroyed, put the top card of your opponent's deck into his or her drop zone. 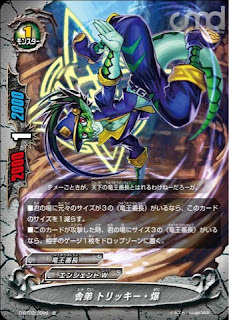 - When this card attacks, if there are ten or more cards in your opponent's drop zone, destroy a monster on your opponent's field. 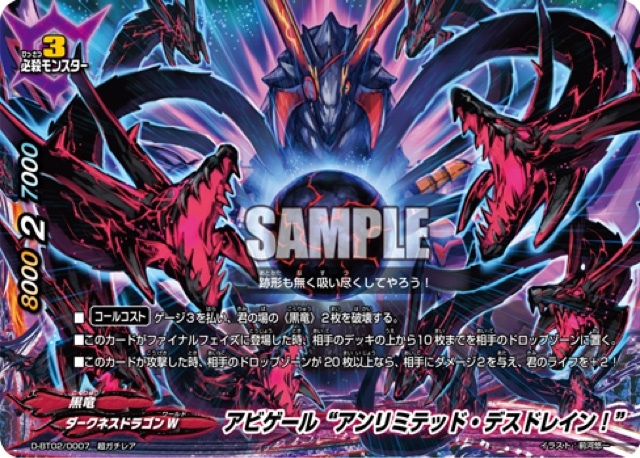 - When this enters the field, you may call a size 1 or lower 《Black Dragon》 from your drop zone by paying its [Call Cost]. 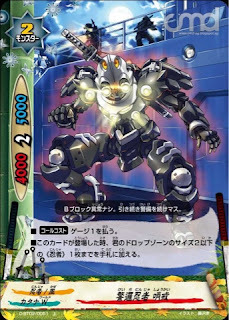 - When this card enters the field, put the top three cards of your deck into the drop zone. 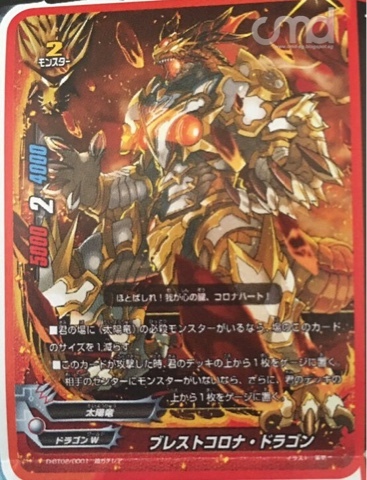 If there is a 《Sun Dragon》 among them, destroy a monster on your opponent's field and deal 2 damage to your opponent! 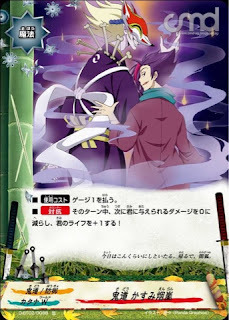 - You may only cast this card if you do not have a monster in your center. - [Counter] The next time you would be dealt to you this turn, that damage is reduced to 0. - [Activate] If there is another 《Dragon Knight》 on your field, you may put a card from your hand into your gauge. If you do, draw a card. 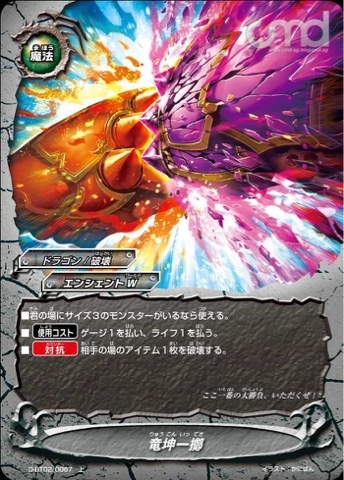 This ability can only be used once per turn. 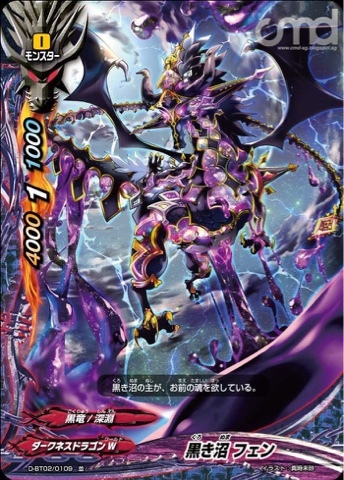 You may only [Set] one "Flying Transport" on the field. 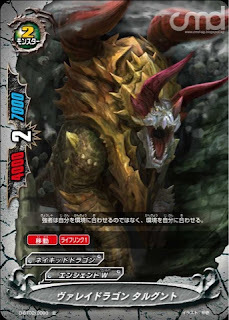 - When this card enters the field, destroy all monsters on your opponent's field. 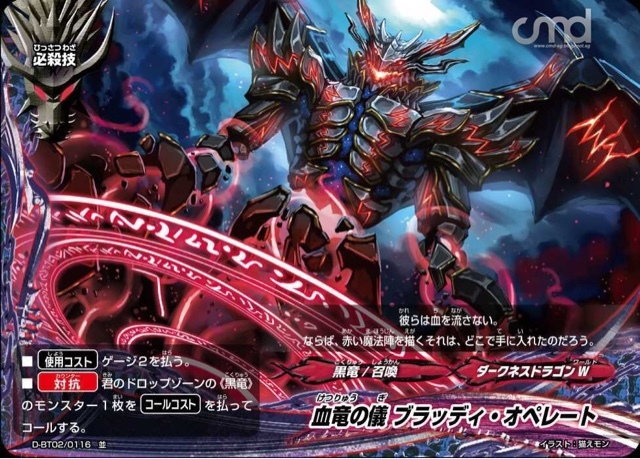 Then, if there are four or more 《Dragon Knight》 in your drop zone, draw two cards. 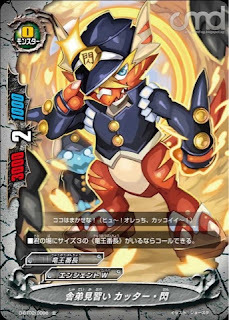 - When this card attacks, if you have five or more 《Sun Dragon》 in your drop zone, for this turn, this card gets [Double Attack]. 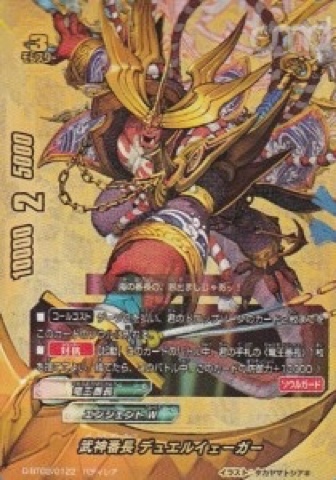 - Reduce the size of originally size 1 《Skull Warrior》 on your field by 1. 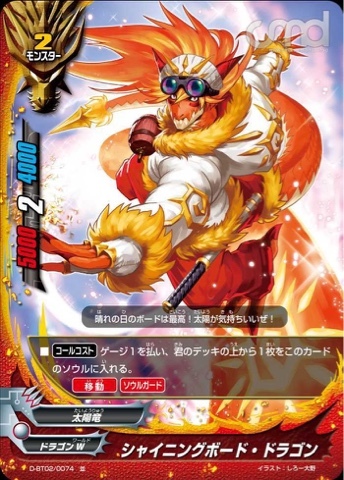 - At the end of the battle of this card, if you have a monster with "Tsukikage" in its card name on your field or in the soul of monsters on your field, for this turn, this card gets [Double Attack]. 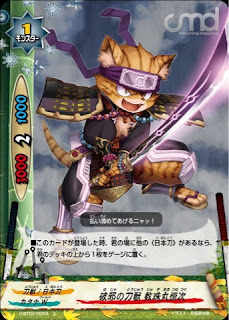 - "Collective Training" When this card enters the field, if you have another size 1 《Ninja》 on the field, draw a card. 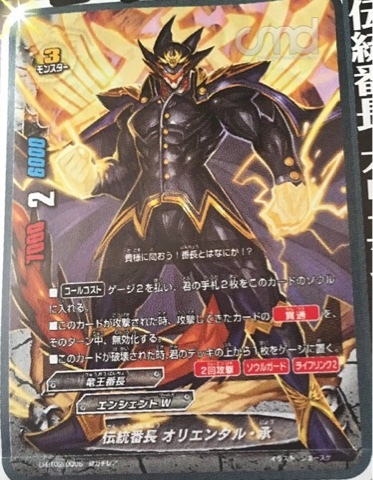 "Collective Training" activates only once per turn. 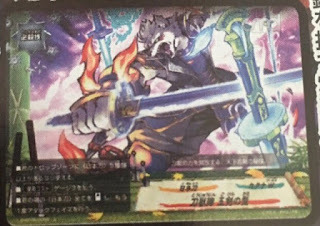 - When this card enters the field, you may pay 1 gauge. If you do, call a size 1 or less 《Skull Warrior》 from your drop zone by paying its [Call Cost]. - At the end of your turn, destroy this card. - This card on the field cannot be destroyed by effects from your opponent's cards. 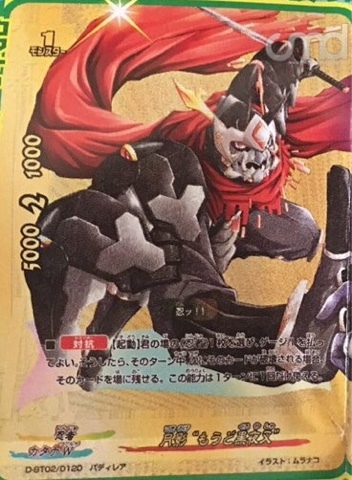 - At the beginning of your attack phase, you may call size 1 or less 《Dragon Chief Emperor》 from your drop zone by paying its [Call Cost] to an empty area. 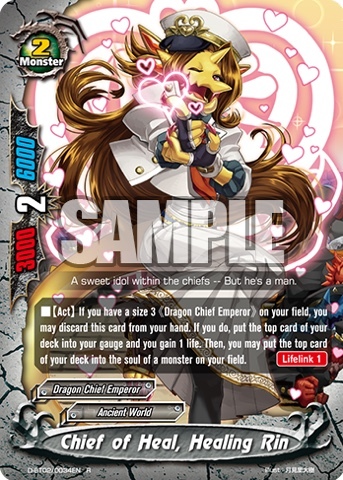 - [Counter] [Activate] During an attack on your opponent's turn, if you have a size 3 《Dragon Chief Emperor》 on your field, you may discard this card from your hand and pay 1 gauge. If you do, nullify the attack, and you gain 1 life! 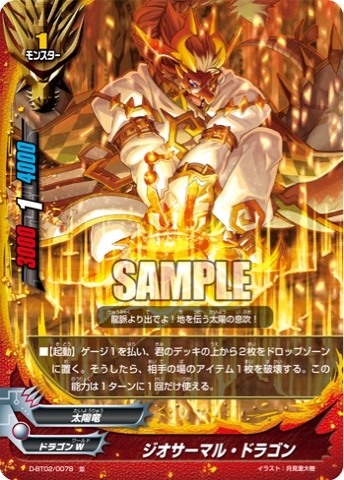 - [Activate] If you have a size 3 《Dragon Chief Emperor》 on your field, you may discard this card from your hand. 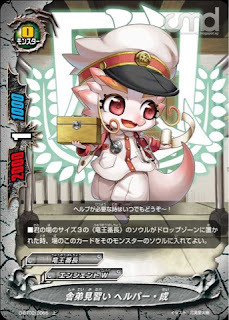 If you do, put the top card of your deck into your gauge, and you gain 1 life. 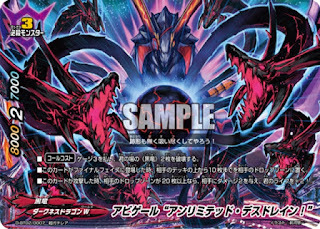 Then, you may put the top card of your deck into the soul of a monster on your field. 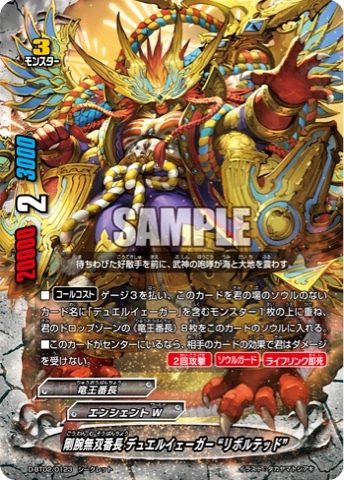 - [Activate] If you have a size 3 monster on the field, you may discard this card from your hand. 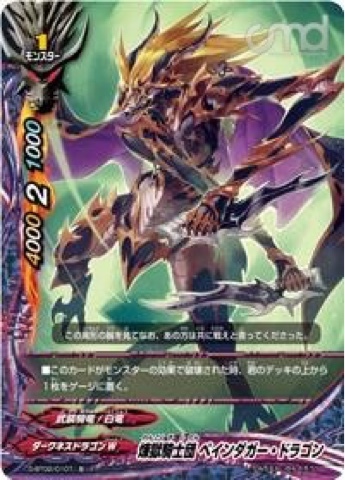 If you do, put two cards from the top of your deck into your gauge. - Draw two cards. 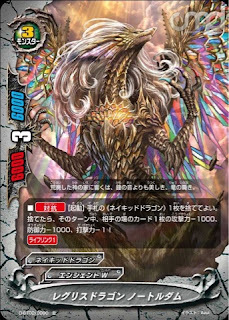 You may only cast "Divine Dragon Creation" once per turn. 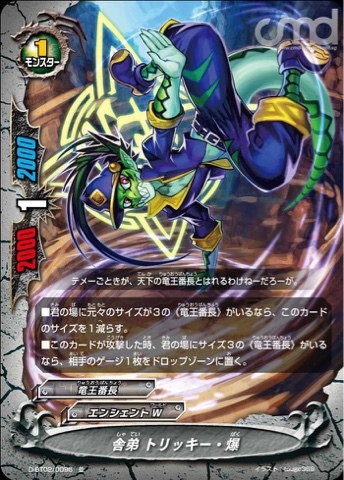 - When this card attacks, deal 1 damage to your opponent! If there are ten or more cards in your opponent's drop zone, deal 2 damage to your opponent instead! If there are twenty of more cards in your opponent's drop zone, deal 4 damage to your opponent instead! - When this card enters the field, destroy a monster on your opponent's field. If you do, deal damage to your opponent equal to the size of that destroyed monster! 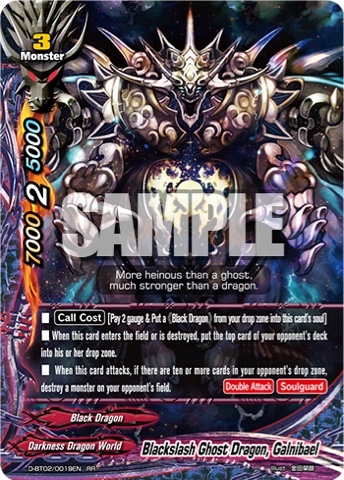 - [Counter] [Activate] During your turn, destroy another monster on your field with "Purgatory Knights" in its card name. 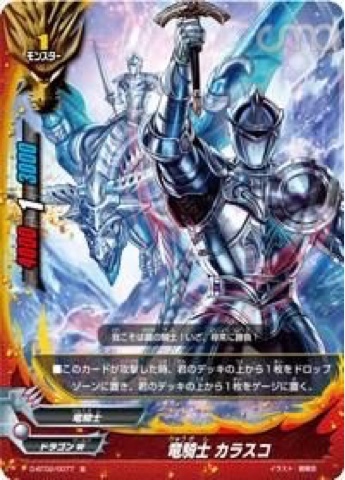 If you do, [Stand] this card. 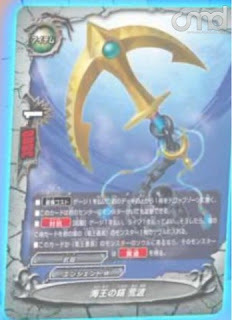 - When this card is put into the drop zone from your field, you may pay 1 gauge. If you do, draw a card. 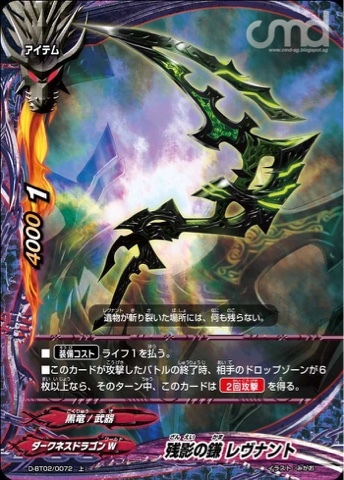 - When this card enters the field, put two cards from the top of your deck into your gauge and you take 1 damage. - Put the top two cards of each player's deck into the drop zone. Then, you draw a card. You may only cast "Million Edge" once per turn. 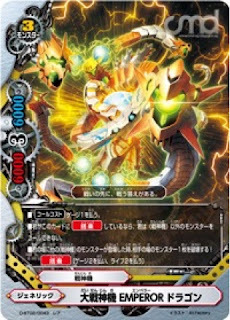 - When a 《Battle Deity Robo》 monster enters your field, destroy a monster on your opponent's field! . - If there are three or more 《Dragon Knight》 in your drop zone, this card gets [Penetrate]. 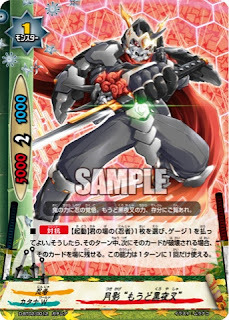 If there are seven or more 《Dragon Knight》 in your drop zone, this card gets critical+1! 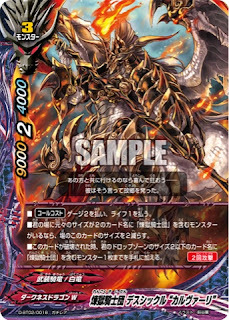 - [Counter] [Activate] During your opponent’s turn, if you have another 《Dragon Knight》 on your field, pay 2 gauge and pay 1 life. 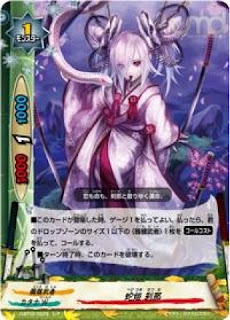 If you do, destroy a monster on your opponent’s field. 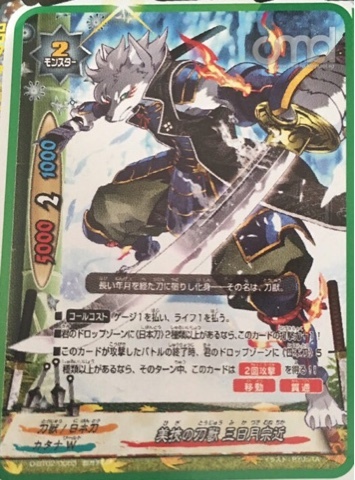 This ability may only be used once per turn. 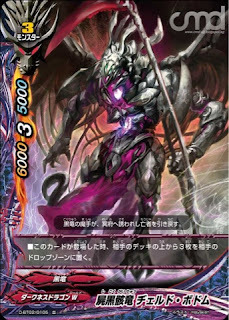 - [Activate] If there is another 《Dragon Knight》 on your field, you may [Rest] this card. 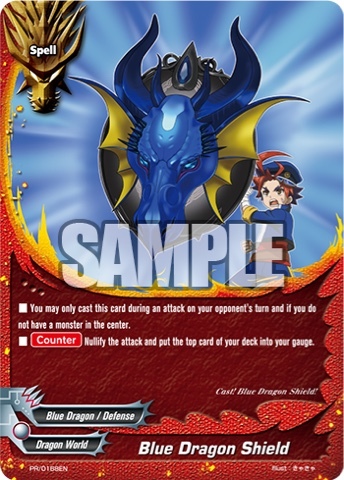 If you do, put two cards from the top of your deck into your drop zone and put two cards from the top of your deck into your gauge. - Put the top card of your deck into your gauge. Look at your gauge and add a card from your gauge into your hand. Then, put a card from your hand into your gauge. You may cast "Dragonic Exchange" once per turn. - You may only cast this card you do not have a monster in the center. 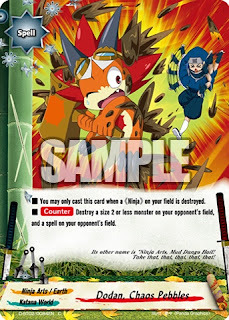 - [Counter] Destroy a size 1 or less monster on your opponent's field! 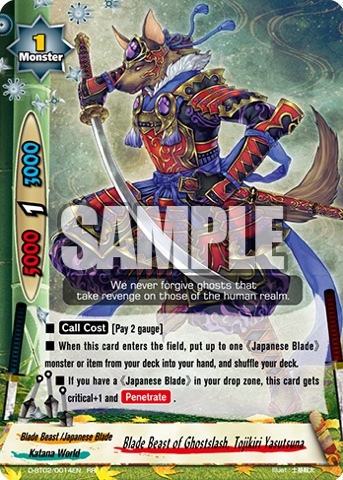 - When this card enters the field, if there are five or more different 《Japanese Blade》 in your drop zone, destroy a card on your opponents field. 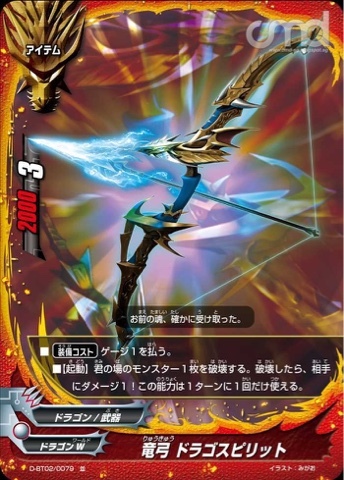 - At the end of the battle of this card, if there are two or more different 《Japanese Blade》 in your drop zone this card gets [Double Attack]. 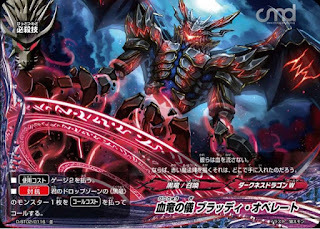 - At the end of your turn, if this card is [Rest] destroy this card. - When this card enters the field, put up to one size 2 or less 《Ninja》 from your drop zone into your hand. - If this card is in your drop zone, you may pay 1 gauge. If you do, call this card from your drop zone. - "Godspeed Gift" When this card enters the field from the drop zone, if you have another 《Skull Warrior》 on your field, draw a card. 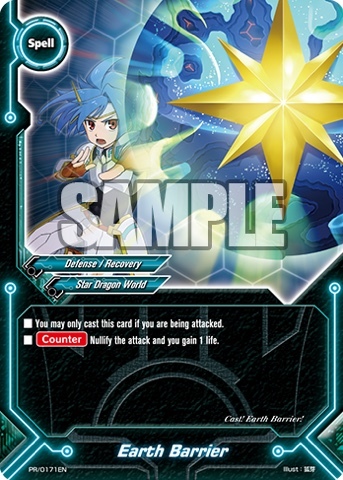 "Godspeed Gift" only activates once per turn. - When this card enters the field, if there is another 《Japanese Blade》 on your field, put the top card of deck into your gauge. - [Counter] Put three cards from the top of your deck into the gauge. 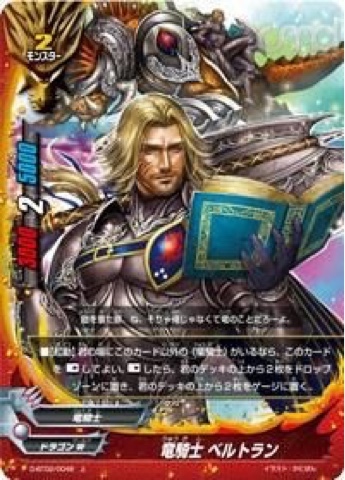 You may only cast "Clear Serenity" once per turn. - [Counter] Put the top two cards of your deck into your gauge, then, if your life is 5 or less, put the top two cards of your deck into your gauge. 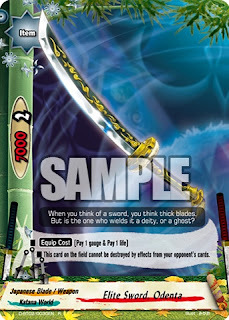 - [Counter] Choose a 《Japanese Blade》 on your field. During this turn, the next time it would be destroyed, you may prevent it from leaving the field. 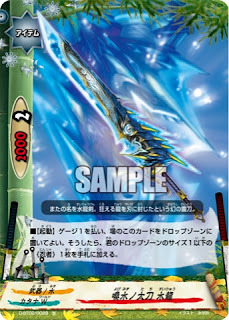 Then, if it is a 《Japanese Blade》 monster, for this turn, it gets [Counterattack]. 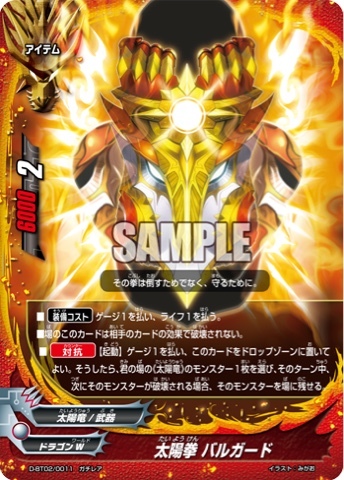 - When you equip this card, put the top two cards of your deck into this card's soul. 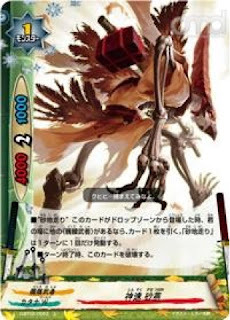 - At the end of your turn, if this card is [Rest], put a card from this card's soul into the drop zone. 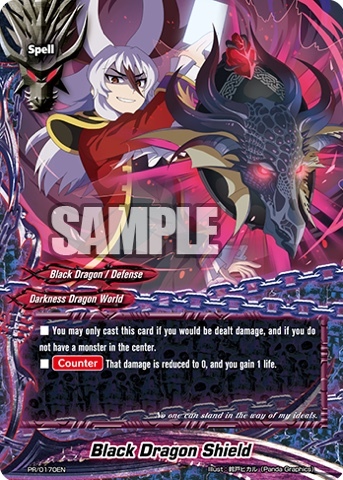 If you cannot, destroy this card. - You may only cast this card if you have five or more in your drop zone. - [Stand] all 《Japanese Sword》 on your field, and you get another attack phase. 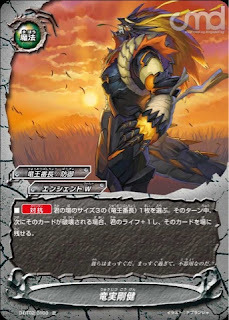 - [Counter] [Activate] Discard a 《Wild Dragon》 from your hand and pay 1 life. For this turn, the next time this card would be destroyed, it remains on the field, and for this turn, this card gets [Counterattack]. 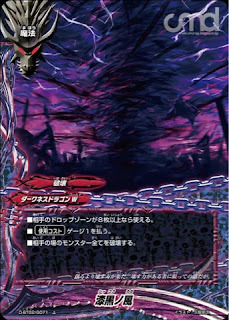 - [Activate] Place a soul from this card into the drop zone. 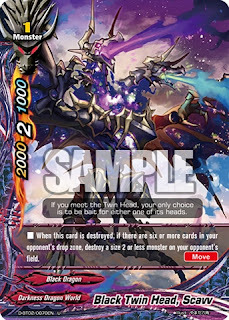 If you do, destroy a size 2 or less monster on your opponent's field. You may only use this ability once per turn. 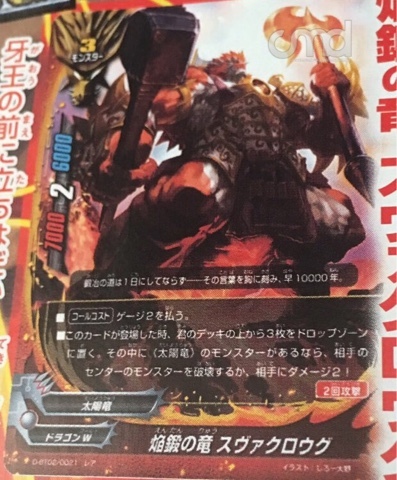 - If there is an originally size 3 《Dragon Chief Emperor》 on the field, reduce the size of this card by 1. 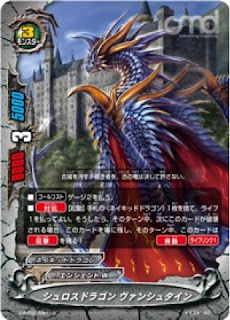 - When this card attacks, if there is a size 3 《Dragon Chief Emperor》 on the field, deal 1 damage to your opponent! - When a card from the soul of a size 3 《Dragon Chief Emperor》on your field is put into the drop zone, put this card on the field into the soul of that monster. 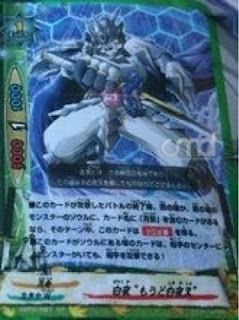 - You may only cast this card if you have a size 3 monster on your field. - [Counter] Destroy an item on your opponent's field. 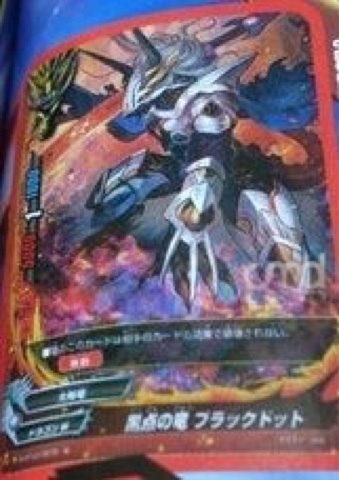 - When this card is destroyed, put the top two cards of your opponent’s deck into his or her drop zone. 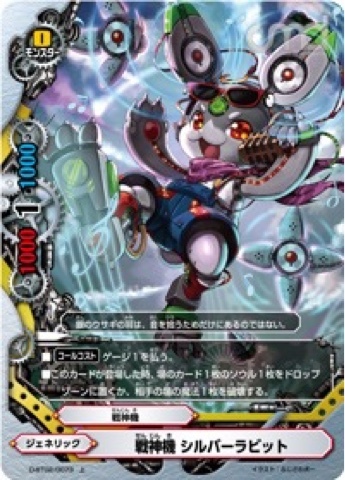 Then, if there are six or more cards in your opponent’s drop zone, put the top card of your deck into your gauge. 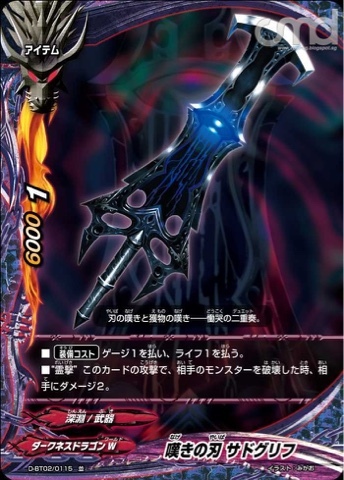 - When this card is destroyed by the effect of a monster, you may pay 1 gauge. If you do, destroy a monster on your opponent’s field. - When this card is destroyed, if there are six or more cards in your opponent's drop zone, destroy a size 2 or less monster on your opponent's field. - You may only cast this card if there are eight or more cards in your opponent’s drop zone. 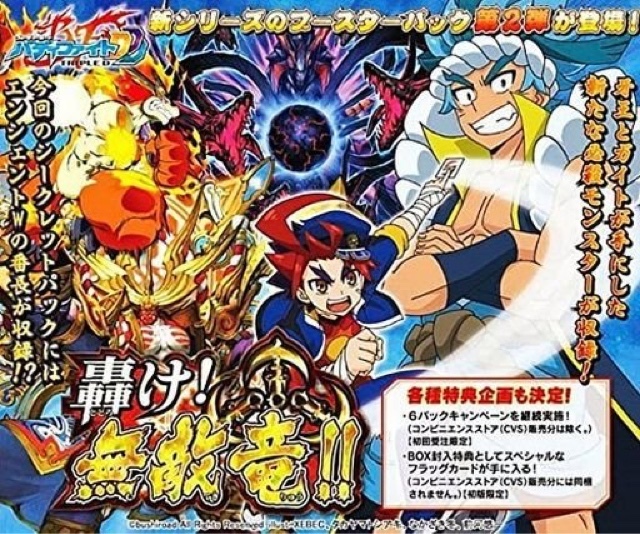 - Destroy all monsters on your opponent’s field. 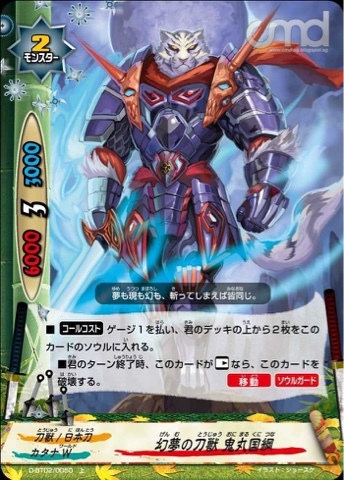 - At the end of the battle of this card, if there are six or more cards in your opponent’s drop zone, for this turn, this card gets [Double Attack]. - When this card enters the field, put a card from the soul of a card on the field into the drop zone or destroy a spell on your opponent’s field. - This monster cannot be destroyed by the effects of the opponent's cards. - When this card enters the field, put the top card of your deck into the drop zone. 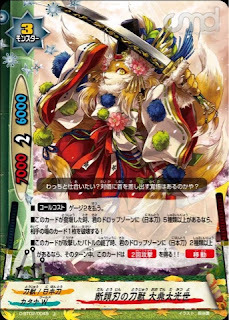 - If you have 3 or more cards in your gauge, this card gets critical+2! - When this card attacks, put the top card of your deck into your drop zone and put the top card of your deck into your gauge. 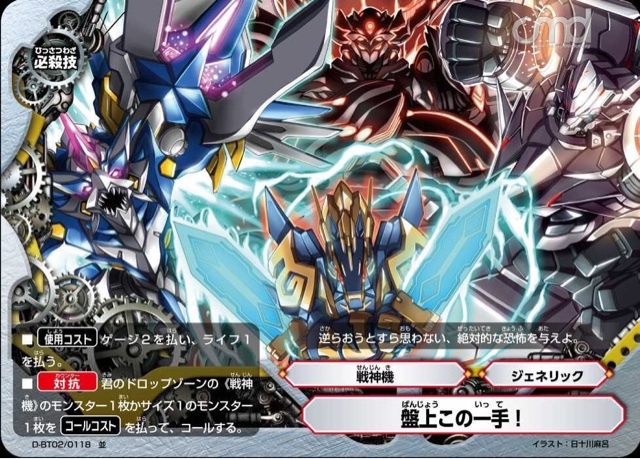 - [Activate] Pay 1 gauge and put the top two cards of your deck into the drop zone. 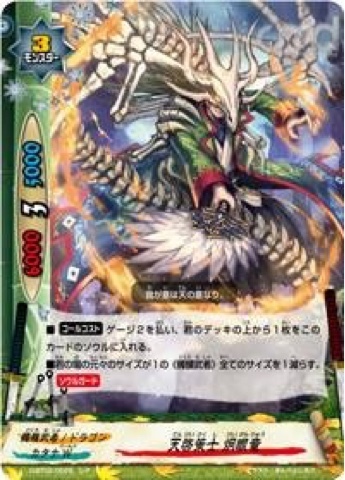 If you do, destroy an item on your opponent’s field. 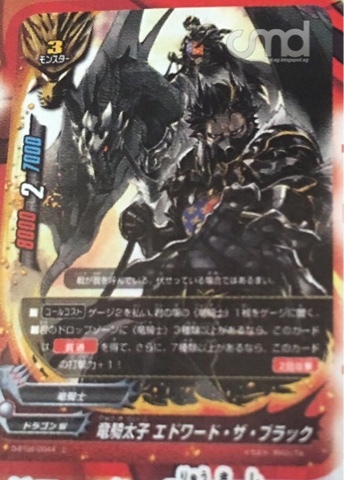 This ability may only be used once per turn. 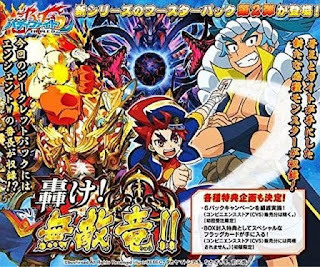 - [Activate] Destroy a monster on your field. If you do, deal 1 damage to your opponent! 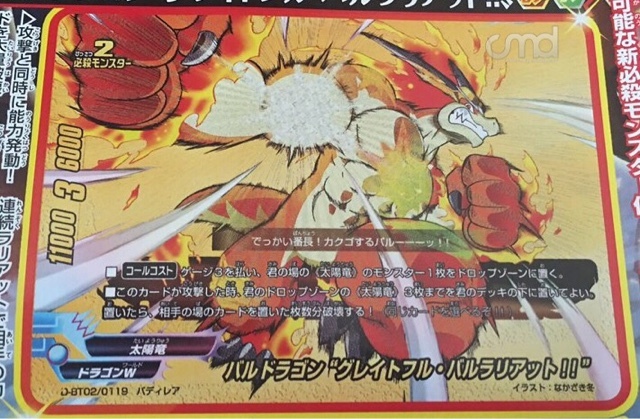 This ability may only be used once per turn. 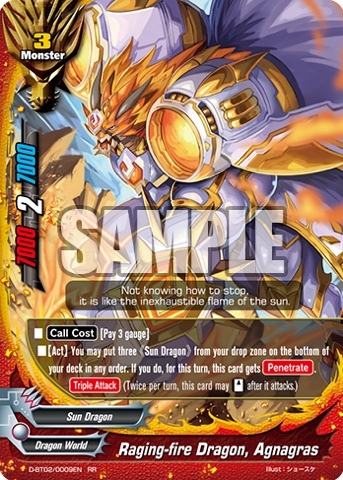 - [Activate] Put the top two cards of your deck into the drop zone. 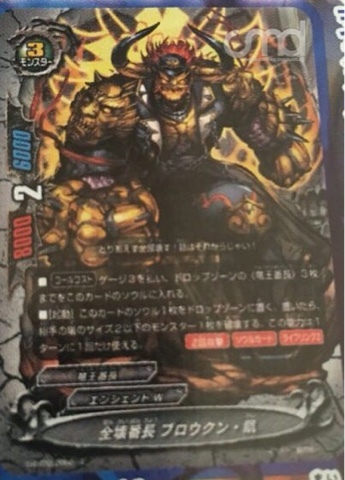 If there is a monster among them, for this turn, this card gets power+3000! This ability may only be used once per turn. 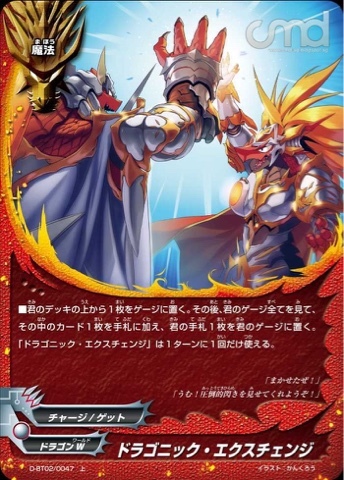 - At the end of the turn, destroy this card. - You may only cast this card when a 《Ninja》 on your field is destroyed. - [Counter] Destroy a size 2 or less monster and a spell on your opponent's field. 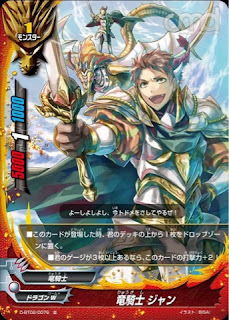 - You may only cast this card when your monster is being attacked. - [Counter] Choose a <Katana World> monster in battle, and for this battle, give it defense+5000, and deal 1 damage to your opponent! - [Counter] If it is not a link attack, nullify the attack. - [Counter] [Rest] a monster on your opponent's field. 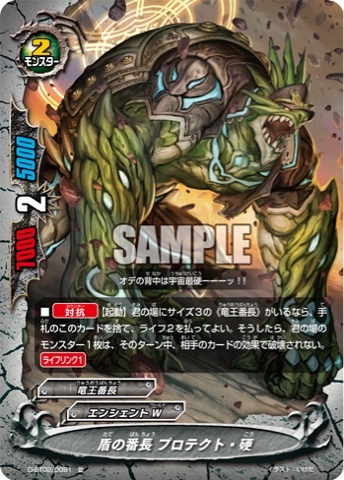 - [Counter] The next time damage would be dealt to you this turn, it is reduced to 0, and you gain 1 life! 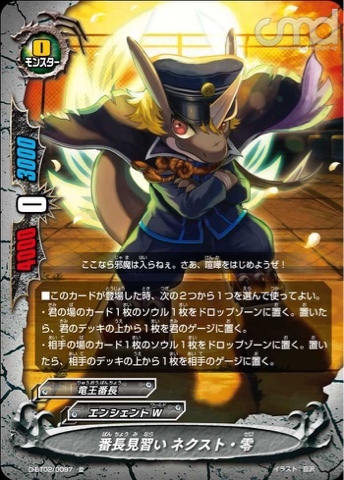 - [Activate] Pay 1 gauge and put this card into the drop zone. If you do, put a size 1 or less 《Ninja》 fro m your drop zone into your hand. 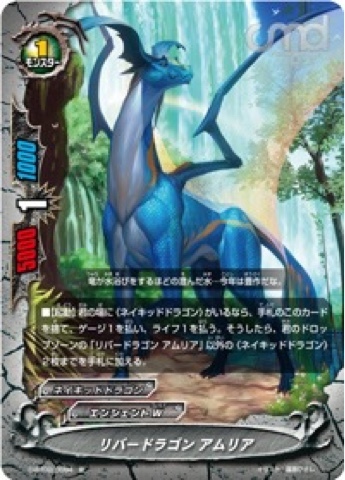 - [Counter] [Activate] You may discard a 《Wild Dragon》from your hand. 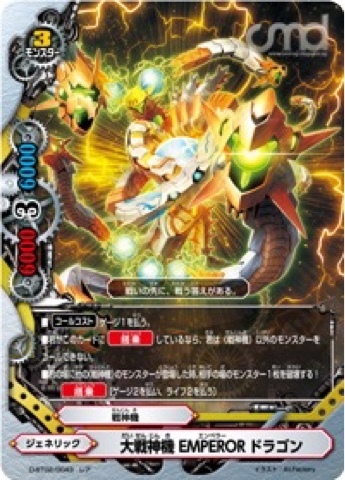 If you do, for this turn, a card on your opponent’s field gets power-1000, defense-1000 and critical-1! - [Counter] [Activate] If you have a size 3 《Dragon Chief Emperor》 on your field, you may discard this card and pay 2 life. 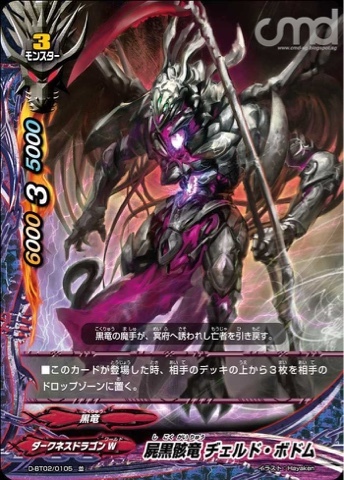 If you do, choose a monster on your field, for this turn, it cannot be destroyed by card effects. - [Activate] If you have a 《Wild Dragon》 on your field, you may discard this card from your hand and pay 1 gauge and 1 life. 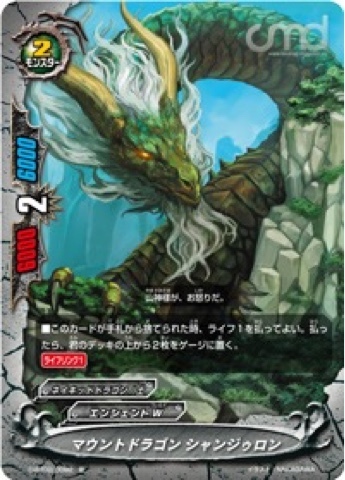 If you do, put up to two 《Wild Dragon》other than “River Dragon, Amuria“ from your drop zone into your hand. - When this card is discarded from your hand, you may pay 1 life. If you do, draw a card. - If you have an originally Size 3 《Dragon Chief Emperor》 on the field, reduce the size of this card by 1. - When this card attacks, if there is a Size 3 《Dragon Chief Emperor》 on your field, put a card from your opponent’s gauge into the drop zone. - When this card enters the field, choose and use one of the following abilities. • Put one card from the soul of a monster on your field into the drop zone. If you do, put the top card of your deck into your gauge. 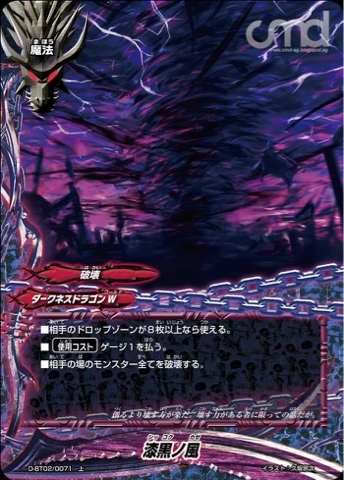 • Put one card from the soul of a monster on your opponent’s field into the drop zone. 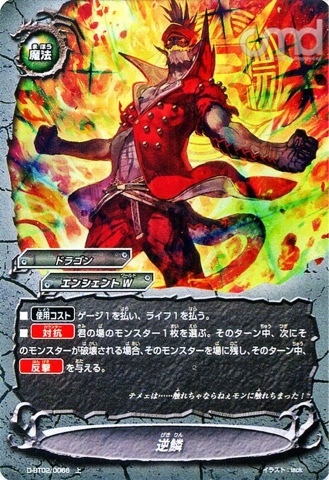 If you do, put the top card of your opponent’s deck into his or her gauge. 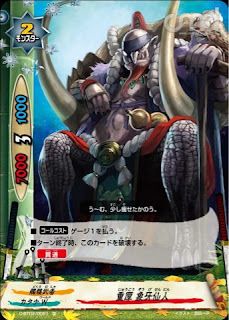 - You may only call this card if there is a size 3 《Dragon Chief Emperor》 on your field. - Put the top two cards of your deck into the drop zone and put the top card of your deck into your gauge. - If this card is in the soul of a 《Dragon Chief Emperor》 monster, this card cannot be put into the drop zone from the abilities of your opponent’s cards. 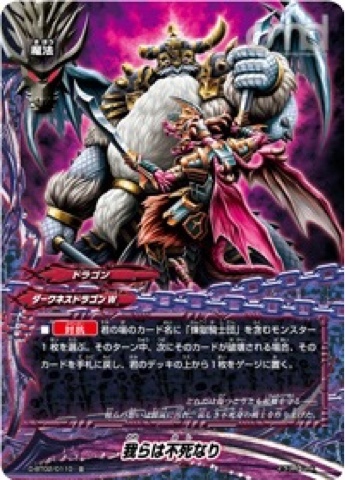 - You may only cast this card if you have 4 or less life and a size 3 monster on your field. - Put this card into the soul of one Size 3 《Wild Dragon》 on your field. 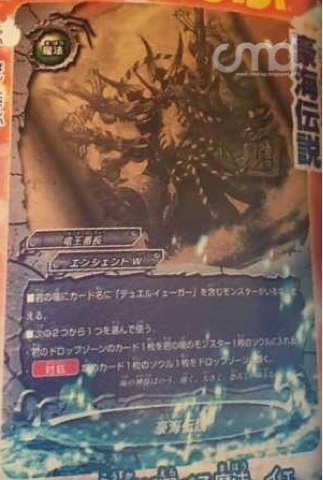 - If this card is in the soul of a 《Wild Dragon》 monster, that monster gets [Move] and [Soulguard]. 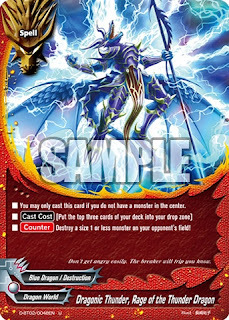 - [Counter] Destroy a size 1 or less monster and a spell on your opponent's field. - [Counter] Choose a size 3 《Dragon Chief Emperor》 on your field. 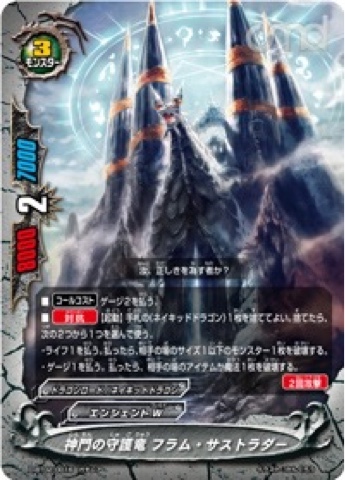 During this turn, the next time it would be destroyed, gain 1 life and you may prevent it from leaving the field. - [Counter] Nullify the attack. 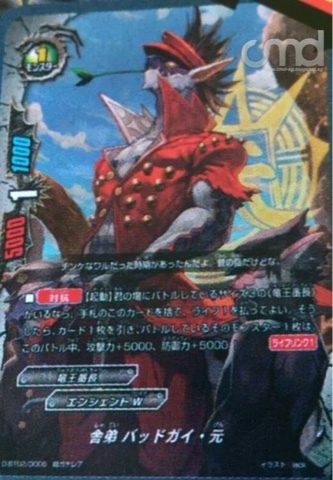 This card cannot be nullified. 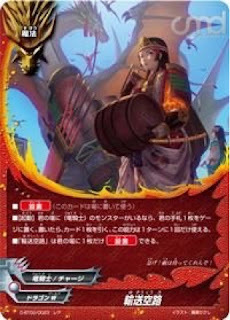 - When this card enters the field, put the top three cards of your opponent’s deck into his or her drop zone. 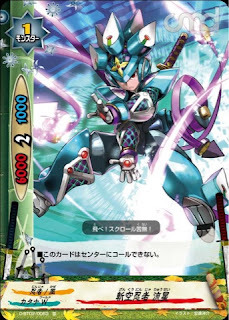 - When this card enters the field, put the top card of your opponent’s deck into his or her drop zone. 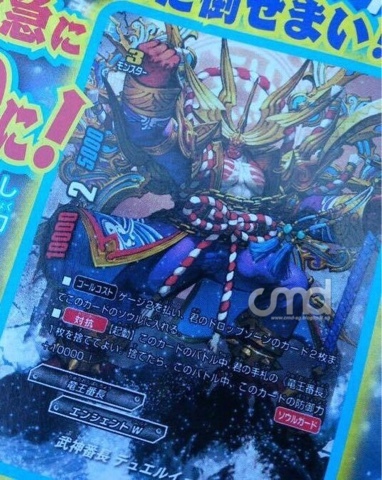 If the card is a monster, gain 1 life! - When this card is destroyed by the effect of a monster, put the top card of your deck into your gauge. 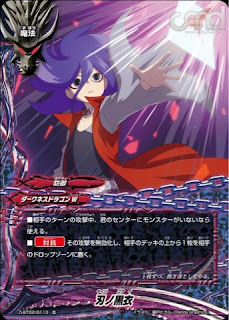 - [Activate] [Rest] this card. If you do, put the top two cards of your opponent’s deck into his or her drop zone. 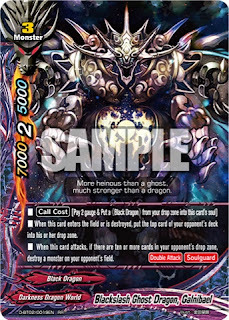 - [Counter] Choose a monster with “Purgatory Knights” in its card name on your field. 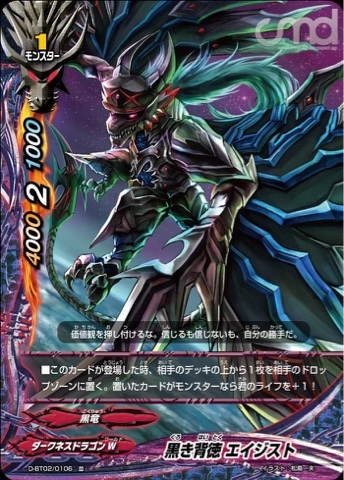 For this turn, the next time that monster would be destroyed, return that card to your hand, and put the top card of your deck into your gauge. - [Counter] Choose a monster in battle, for that battle, give it power+4000, defense+4000 and put the top card of your opponent’s deck into his or her drop zone. 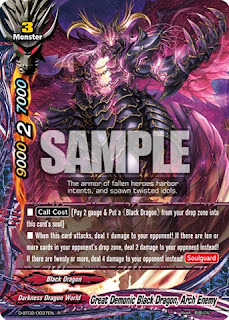 - [Counter] Choose a 《Black Dragon》 on your field. During this turn, the next time that card would be destroyed, you may prevent it from leaving the field. 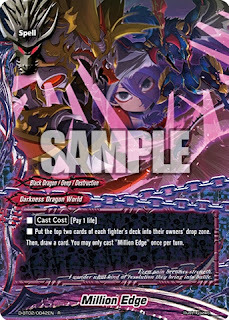 - [Counter] Nullify the attack and put the top card of your opponent’s deck into his or her drop zone. - When your opponent’s monster attacks, put the top card of your opponent’s deck into his or her drop zone. This ability only activates once per turn. 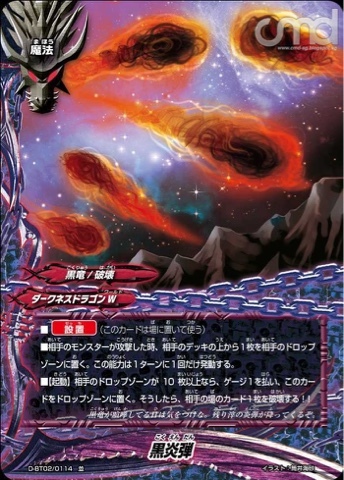 - [Activate] If there are ten or more cards in your opponent’s drop zone, pay 1 gauge and put this card into the drop zone. 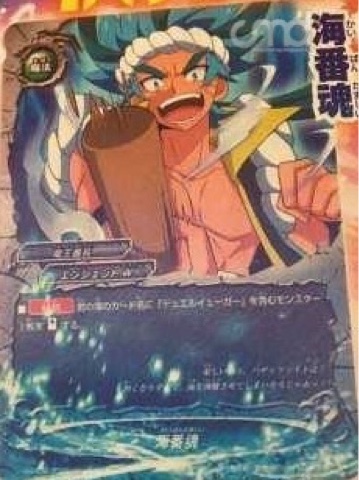 If you do, destroy a card on your opponent’s field! - "Spectral Strike" When an attack by this card destroys your opponent's monster, deal 2 damage to your opponent. 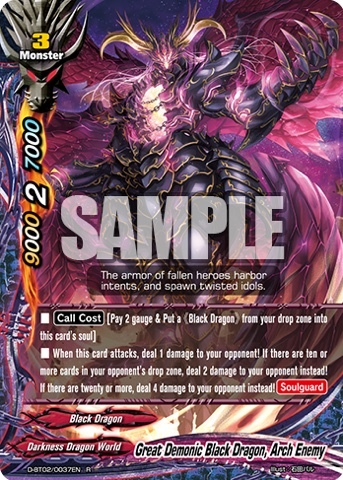 - [Counter] Call a 《Black Dragon》 monster from your drop zone by paying its [Call Cost]. 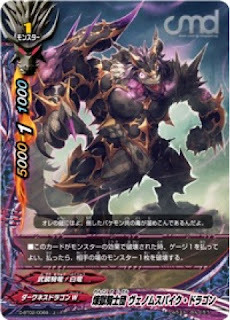 - When this card enters the field, destroy a monster on your opponent’s field. 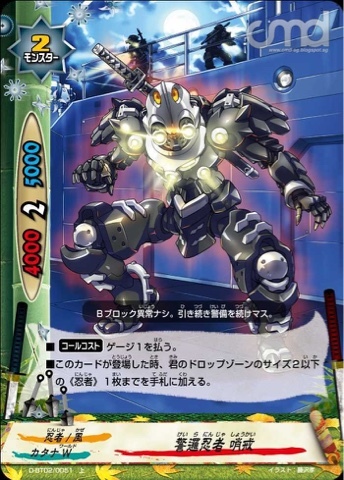 - [Counter] Call a size 1 or less 《Battle Deity Robo》 monster from your drop zone by paying its [Call Cost]. - If this card is in the soul of a monster, that monster can attack your opponent even if there is a monster in your opponent's center. 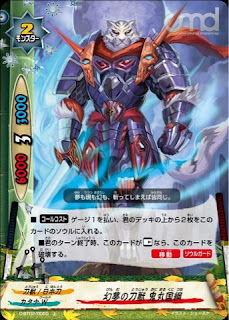 - [Counter] [Activate] When this card battles, you may discard a 《Dragon Chief Emperor》 from hand. If you do, for this battle, this gets +10000 defense! - If this card in your center, you cannot be dealt damage by effects from your opponent's cards. 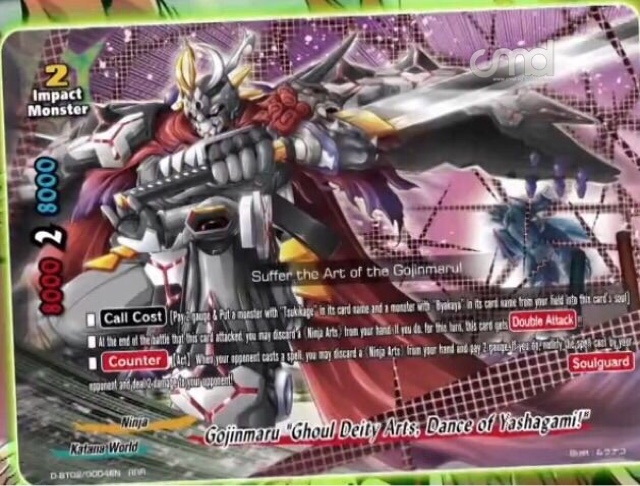 - [Counter] [Stand] a monster with "Duel Jaeger" in its card name on your field. 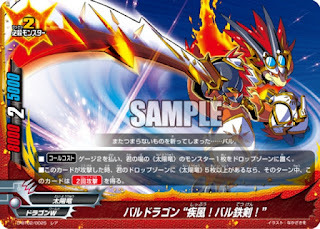 - You may only cast this card if you have a monster with "Duel Jaeger" on your field. - Choose one of the following effects. • Put one card from your drop zone into the soul of a monster on your field. 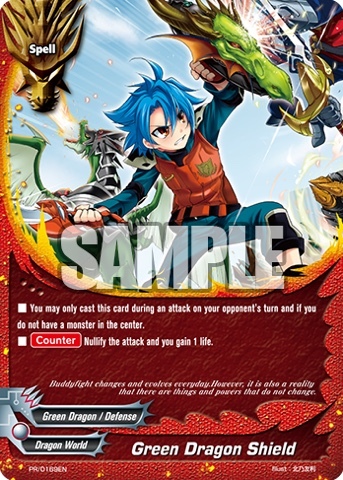 • [Counter] Place a soul from a card on the field into the drop zone. - You may use <Ancient World> and <Generic> cards. - When this card attacks, for this turn, this card gets power+5000.